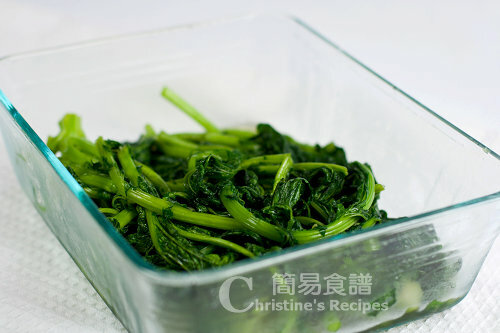 Salted mustard greens (雪菜/雪裡紅) are very popular in stir-fry with meats, tofu and noodle soup in traditional Chinese cooking. I often keep some in my fridge, and throw a bit of it whenever I like to enhance the flavour in my Chinese dishes, like green beans stir fry, shredded pork rice noodle soup. It’s pretty easy to make salted mustard greens at home, simply add a small amount of salt. After a few days, you can enjoy the aromatic pickled vegetables. Compared with those canned ones, you're 100% sure it's healthy without any preservatives at all. Rinse mustard greens thoroughly. Drain well. If there’s still some water left and the mustard greens still wet, it’s fine. Place mustard greens in single layer one by one, then rub some salt evenly onto the vegetables from stem to leaves. Rest in room temperature for about 30 minutes, rub the vegetable again. Repeat this process for three times. Cover and chill in fridge. Some water will release in the process. After two to three days, you’ll get aromatic, healthy salted mustard greens. It can be kept in fridge for up to one week. 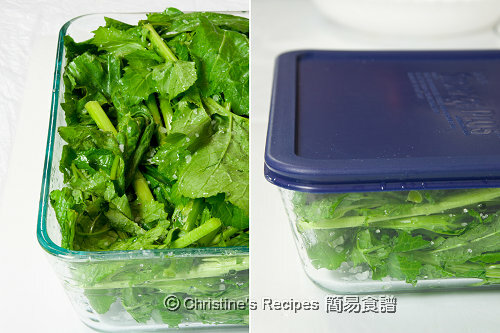 If you don’t have a big glass container, you might use a plastic bag to preserve the mustard greens. After marinated with salt, the vegetables would turn soft in texture, fresh green in colour and release some water. You might keep the water as it is or discard it. Beware that any part of the vegetable that doesn’t touch with salt properly, it might turn yellow. So you might want to rub salt evenly onto the surface of vegetables, and combine them very well to get the best results. When you’re ready to cook, soak the salted mustard greens in water for 20 minutes. Rinse with water three times and squeeze out excess water. Then you can cut them into smaller pieces and cook with other ingredients. I like salted mustard greens, but don't know how to make the homemade ones since they are easy to find at Asian markets. Thanks for tricks! I love 雪菜 but can't find it in SG. Only had this in Taiwan. Oh this is lovely. We Vietnamese like the pickled mustard greens, but this looks wonderful! So easy! I must try and make some myself too :)Will go well with my pig ears! Wow, this is something new to me! And so easy to make. I'd never have known! Though it is very easy to buy salted mustard greens here, I'd very much love to have them homemade. Thanks for sharing. I have never had salted mustard greens. They sound very versatile. I'll have to give them a try. I've never had salted mustard greens and looking forward to trying! Thanks for providing all the homemade salted mustard greens tips. I am thinking these will be good with shredded meat in a bowl of noodles soup. I've never tried this before (only tried those mustard greens in a bottle soaked in brine) but it looks like something I will enjoy eating. and it's a good way to prepare the veg to last a whole week. The homemade one is very different from the canned ones bought from stores. The homemade version tastes salty with wonderful aroma. You would definitely love it. 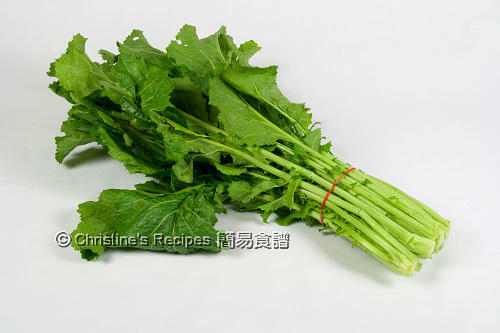 May I know what is mustard greens in Chinese? Thanks. You can use 雪裡紅（or 芥菜）to make this dish. someone passed me some 雪菜. Could I eat them fresh (ie without salting them beforehand)? 雪菜 is a kind of Chinese vegetables. 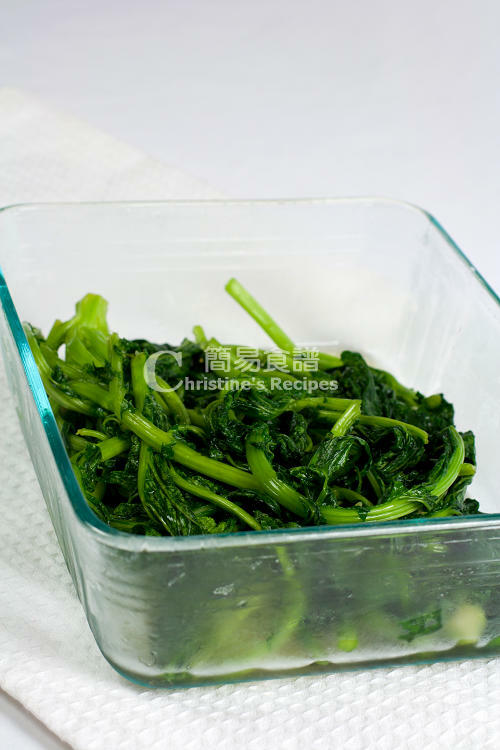 We rinse the vegetable, then cook it, either by blanching or stir-frying. I seldom hear people eat them raw. If we want to make it taste like the canned version and last longer, can we also put vinegar? Sorry, Anne. I haven't tried to make the canned version. Can't tell.